Join Kermit, Piggy, and the other stars of the new Disney Junior show Muppet Babies in this sturdy board book! 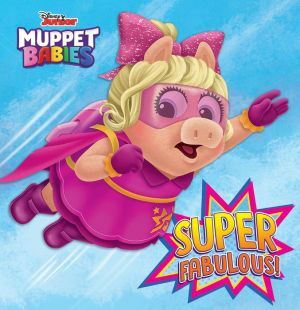 Piggy and Summer are superheroes named Super Fabulous and Captain Ice Cube! Join them as they work together to defeat the bad guys in this board book with sturdy pages based on an episode of Disney Junior's The Muppet Babies! It's perfect for children ages 0 to 3. Muppet Babies explores a boundless realm of creative play for preschoolers while fostering their imagination in a world of bold new adventures!